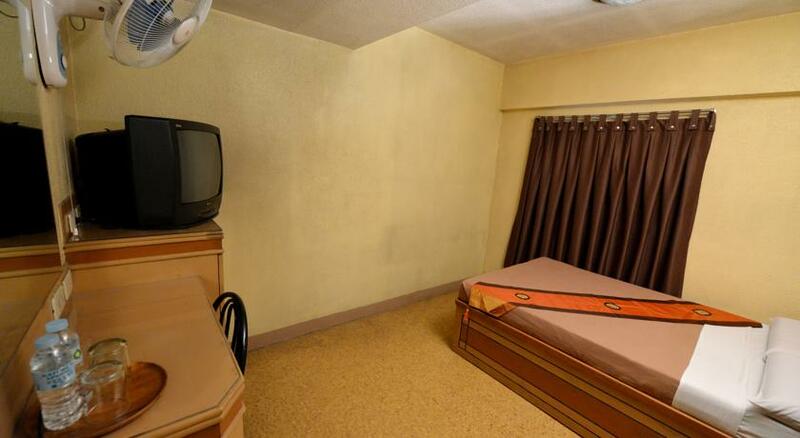 good for 4 occupants with 2 double bed,aircon, hot and cold shower, telephone, colored cable television. All Room type rates inclusive of 4 set breakfast. and two(2) complimentary massage per day. Reminder: 1% Service charge for every reservation/rooms and extra beds is payable to hotel upon check in and this is cash basis only. 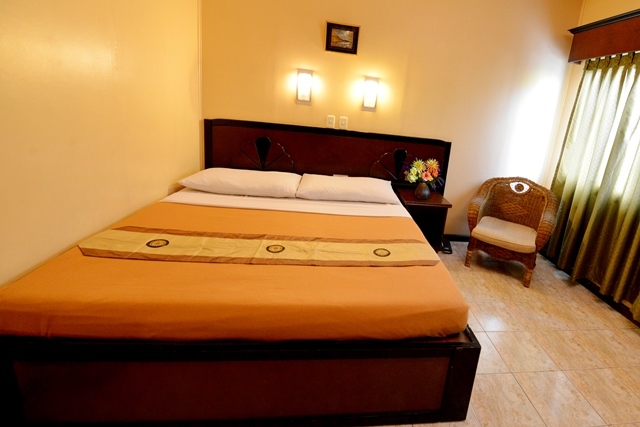 with 1 double bed and 1 single bed,with aircon, hot and cold shower, telephone,colored cable television. All Room type rates inclusive of three (3) set breakfast and one(1) complimentary massage per day. 1 Double Bed, fan ventilated. All Room type rates inclusive of 2 set breakfast and one (1) complimentary massage per day. 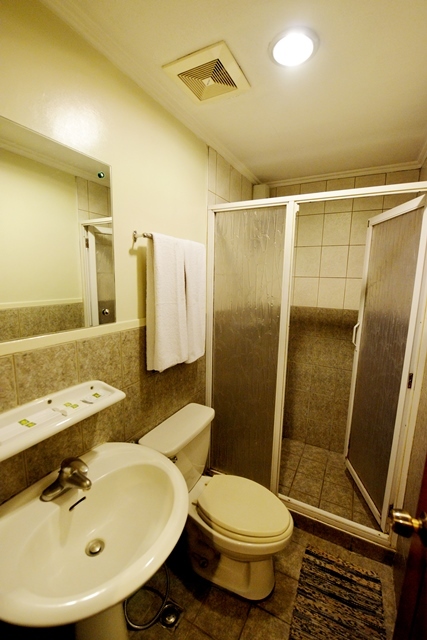 1 DOUBLE SIZED BED , fan ventilated, hot and cold shower, cable television. 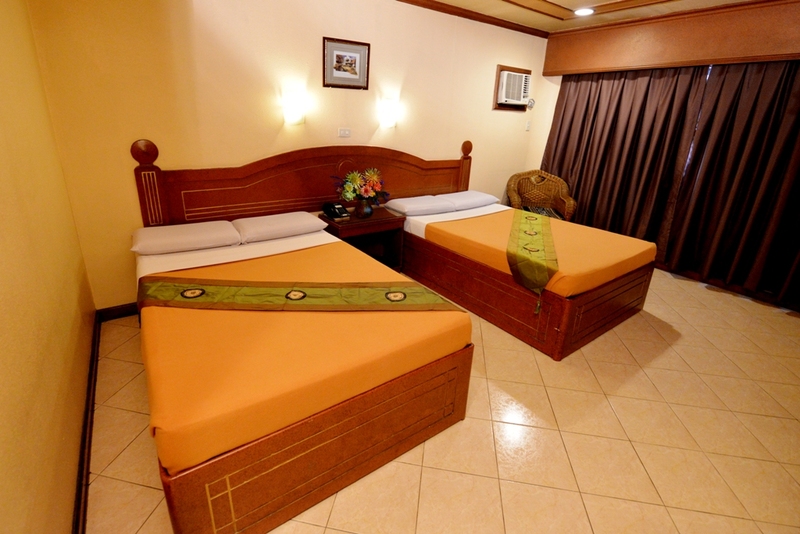 All Room type rates inclusive of two (2) set breakfast. 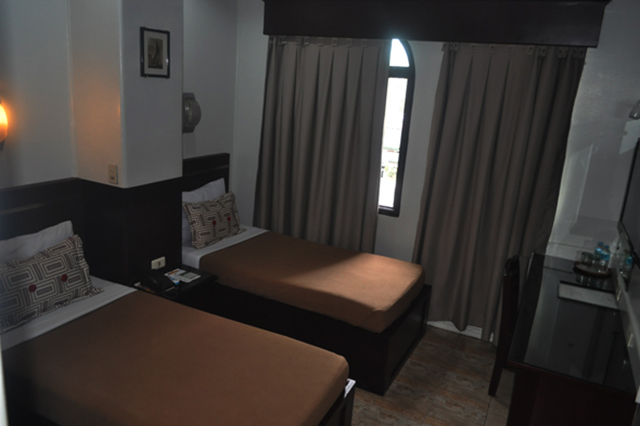 For guaranteed reservation, guest is required to present a confirmation letter or a validated deposit slip. The hotel is equipped with CCTV Cameras. 24 hour-guard on duty. Check-Out: Normal check-out time is 12 NOON. However, should a guest wish to check-out late, this must be arranged at the Front Desk. Late check-out is subject to room availability. Check-out beyond 1 PM is subject to late check-out charge. All Room type rates inclusive of breakfast(s). All guaranteed reservation shall be held until 8pm only and room will be released from 8:01PM onwards unless you include an specific ETA for your reservation. The hotel does not refund prepayment/payments made on room accommodation for cancellation, shortened stay, and adjustment in rates whether this has been paid by cash or credit card. All guaranteed reservation shall be held until 8pm only and room will be released from 8:01PM onward unless you include a specific ETA for your reservation. fee, first night or price of the accommodation may still be charged depending on the policy of the hotel that you agreed to at the time of making the reservation. Cancellation up to 2 Weeks before Check in:The value of 1st Night's Stay + 10% of the remaining nights. 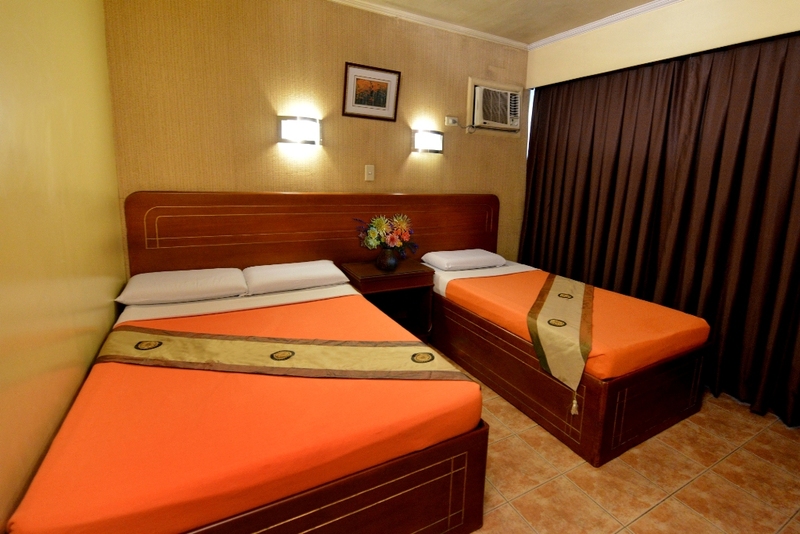 Extra Person- Php 750.00/head/night (inclusive of set of bedding and breakfast). EXTRA PERSON CHARGE FOR THE PANAGBENGA FESTIVAL IS PHP750/person with breakfast. 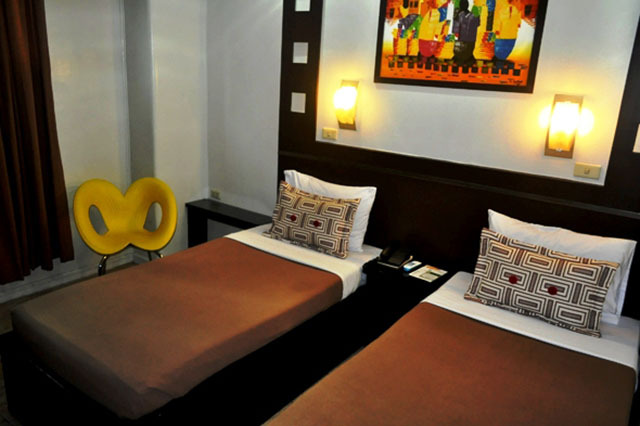 An additional person is only allowed for Premier room types and Family room. Children 10 years old and below are free of charge (1 child per room only). Under no circumstances will animals be allowed or any kind be permitted in the Hotel premises.